22/03/13 -- Soycomplex: There was probably a bit of consolidation in the market today after two days of sharp rises. With huge uncertainty surrounding Cyprus over the weekend then a bit of book-squaring today was probably prudent. There's also a fair bit of uncertainty about what is going on between China and Brazil. Have the Chinese cancelled orders for Brazilian beans, or haven't they? Trade gossip suggests that China bought two cargoes of US beans off the PNW for April shipment yesterday. If true it's hardly a deluge of new business, but with 97% of the USDA target already on the books America doesn't really need any fresh old crop orders. Note too that 88% of this target has already been shipped. The Chinese Ministry of Commerce estimated China’s March and April bean imports both at around 4.3 MMT each. Chinatex said that the country needs 4.8 MMT of beans each month for crushing, the shortfall is likely to come from government reserves. The problem is that the majority of the 4.3 MMT that the Ministry are expecting this month and next is probably lined up to come from Brazil and loading times at Brazilian ports are still said to be around 60 days. Mato Grosso’s soybean harvest is winding down at 85.2% complete, according to IMEA. In Argentina it's only just getting going at around 5% done, according to the Buenos Aires Grains Exchange. Argentina's Ag Ministry say that 80% of the early planted beans and 74% of late planted beans are in good to excellent condition. Argentine farmers' forward soybean sales said to be are down 32% versus a year ago due to the weak peso. Informa cut their forecast for US soybean plantings this spring from their previous estimate of 78.77 million acres to 78.46 million. Farm Futures yesterday said 79.09 million, the Deutshce Bank today said 78.8 million. Plantings in 2012 were 77.2 million. Funds were judged to have been net soybean sellers of around 2-3,000 lots on the day. May 13 Soybeans closed at USD14.40 1/2, down 8 1/2 cents; Jul 13 Soybeans closed at USD14.18, down 7 1/2 cents; May 13 Soybean Meal closed at USD419.30, down USD3.60; May 13 Soybean Oil closed at 50.43, up 1 point. For the week front month beans were up 14 1/2 cents, meal up half a dollar and oil up 52 points. Corn: The corn market was also understandably in consolidation mode after rallying to six week highs this week and closing higher for nine sessions out of eleven. The Buenos Aires Grains Exchange said that 14.5% of the Argentine corn harvest is complete. They estimated the crop at 25.0 MMT, unchanged from their previous estimate. Argentina’s Ag Ministry forecast a corn crop of 25.7 MMT. The USDA estimate is 26.5 MMT. Argentina's Ag Ministry said that the Argentine corn crop is 20% harvested versus 17% a year ago. Informa estimated the US 2013 corn planted area at 97.75 million acres, down more than one and a half million from their previous estimate. Farm Futures Magazine yesterday said 97.43 million, the Deutsche Bank today said 97.2 million, which would be the same as last year. A Bloomberg survey put the average estimate at 97.34 million. The trade is now gearing up for next Thursday's planting intentions estimates from the USDA. On the same day they will also issue their Mar 1st stocks numbers, which should provide a clue as to how much domestic corn feeding has been going on across the winter. The average trade estimate for March 1st corn stocks is 4.995 billion bushels, more than a million below March 1st 2012 and the lowest figure in almost 15 years. Argentina authorised an additional 2 MMT of 2012/13 corn exports today, taking the total quota approved now to 17.0 MMT. UAE are tendering for 20 TMT of corn and 20 TMT of feed barley of optional origin for May shipment. Ukraine might be the favourites to win that order. EU corn imports in 2012/13 are running 135% ahead of year ago levels at 8.6 MMT. Weekend weather forecasts aren't favourable for early corn planting in the Mississippi Delta. "The wintry precipitation in the south central Midwest and far northern Delta will stall fieldwork and keep early spring crop planting there very slow," say MDA CropCast. On the day funds were said to have been net corn sellers of around 5-7,000 contracts. May 13 Corn closed at USD7.26 1/4, down 6 3/4 cents; Jul 13 Corn closed at USD7.08 1/2, down 8 3/4 cents. For the week front month May 13 gained 9 1/4 cents. Wheat: Wheat futures finished modestly higher on all three exchanges. Informa cut their US all wheat planted area estimate from 56.2 million acres to 56.07 million, although that's still up 338,000 on last year. A survey by Bloomberg put the average trade estimate at 56.32 million acres. US winter wheat is set to get 3-8 inches of snow over the weekend if the forecast holds true. "Snow cover remains deep across the northern Plains and northern Midwest, and will expand into the central Plains and south central Midwest through the weekend as colder temperatures and increased precipitation continues to build across that region. The snow will help to further improve soil moisture in the central Plains once it melts, but will slow wheat emergence from dormancy," say MDA CropCast. Cash strapped Egypt, the world's largest wheat buyer, has had its credit rating cut by Moody's. Iran bought 60 TMT of German wheat and a similar volume of Australian wheat in their tender. South Korea cancelled a tender to buy 55 TMT optional origin feed wheat due to high prices. India tendered to sell 160 TMT of wheat. Despite picking up better bids in the USD305-307/tonne range in the past couple of days there hasn't been any confirmation of any Indian sales yet. Argentina's Ag Ministry estimated the 2012/13 wheat crop at 9.0 MMT versus a previous estimate of 9.4 MMT and the USDA's 11.0 MMT forecast. As well as unfavourable weather conditions this season's crop was also affected by a switch away from wheat to barley by Argentine growers. The 2012/13 Argentine barley crop is forecast at 5.05 MMT by the Ministry, up 24% from a year ago. Australian farmers are gearing up for planting under favourable conditions in the top wheat producing state of Western Australia. "Western Australia soil moisture better than average. Showers have been unusually generous in February and March. The transition from summer into fall typically is dry in Western Australia, but not this year. The top Australia wheat state usually begins fall planting in late May, but an earlier start may be coming if the rainy weather pattern continues," say Martell Crop Projections. May 13 CBOT Wheat closed at USD7.29 3/4, up 1 cent; May 13 KCBT Wheat closed at USD7.61 1/2, up 1 cent; May 13 MGEX Wheat closed at USD8.06 1/2, up 3 3/4 cents. For the week CBOT wheat added 6 3/4 cents, KCBT 10 cents and MGEX 10 1/4 cents. 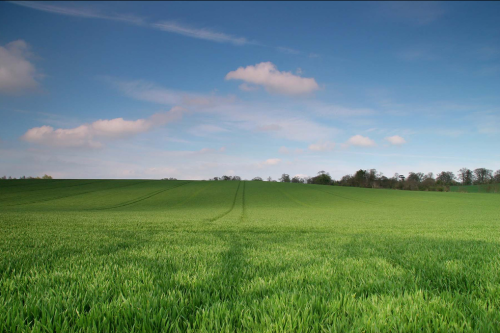 22/03/13 -- EU wheat futures closed mixed, with the strong export pace supportive but fears over Cyprus keeping traders cautious. After talks with Russia broke down, Cypriot politicians have only the weekend to come up with an alternative solution to raise the funds needed to secure the financial assistance of the Troika. On the day, London wheat closed with new front month May 13 down GBP0.50/tonne to GBP201.50/tonne and new crop Nov 13 up GBP0.20/tonne at GBP185.70/tonne. May 13 Paris wheat was EUR0.25/tonne lower at EUR241.25/tonne. For the week, May 13 London wheat rose GBP3.60/tonne, with Nov 13 up GBP2.55/tonne and May 13 Paris wheat rising EUR6.50/tonne. The Russian Ministry slightly lowered their view on grain production there this year from 95 MMT to 90-95 MMT, but said that exports will rise from 14 MMT this year to 20 MMT in 2013/14. As Russia has already exported 14 MMT of grains in 2012/13 that would seem to indicate that very little will now be shipped between now and the end of the current season. The Russian Weather Centre said that around 1.3-1.6 million hectares of winter grains will need to be resown this year, that's 8-10% of the planted area which is a little less than normal. Last year 1.9 million ha had to be replanted in the spring. Some news wires are talking of record crop potential in Ukraine this year, where almost 92% of winter crops are said to be in good to satisfactory condition. Spring plantings are also said to have been progressing well with 22% of the crop already in the ground, according to the Ministry. Of the 647,000 ha sown already the vast majority (540,000 ha) is barley. UkrAgroConsult estimate the wheat crop in Ukraine at 20.9 MMT this year, up 47% on last year. Corn production will come in at 21.2 MMT, a rise of almost 13%, they add. They forecast 2013/14 Ukraine grain exports up 26% at 27 MMT, of which 8.75 MMT will be wheat (versus 6.5 MMT this season), 15 MMT will be corn (versus 12.5 MMT) and 2.8 MMT will be barley (versus 2.1 MMT). Including durum, Brussels have so far issued 15.6 MMT of wheat export licenses in 2012/13. With 14 weeks of the 2012/13 season remaining exports only now need to average less than 280 TMT/week from here on in to hit the USDA's projection of 19.5 MMT for the year. The past week's licenses included 538,179 MT of soft wheat alone. Meanwhile France are thought likely to have picked up a 350 TMT Algerian wheat order earlier in the week, and German wheat won a 50% share of an Iranian purchase of 120 TMT of wheat overnight. An Iraqi wheat tender closes over the weekend, and Jordan are also tendering for 100 TMT each of wheat and barley. Widespread snow across much of Europe should help protect crops from sub-zero temperatures this week. Similar conditions prevail on the US Plains and Midwest too. The EU Commission's MARS unit are due to release their first thoughts on yields in Europe for the 2013 harvest on Monday. 22/03/13 -- It's snowed heavily all morning here, so not made it into the office. Hence blogging activity will be minimal today. Just heard on the radio that this weekend is forecast to be the coldest March weekend in 50 years. Even so May 13 London wheat is two quid down on nervousness over Cyprus. The talks with Russia have apparently broken down, bearing no fruit, so they have a weekend to extract a rabbit from the hat or face a possible Euro exit come Tuesday. Also on the radio this morning is news that the Cypriot banks have limited the amount of cash you can draw out of an ATM to EUR250/day. Next week could be a good week to be a burglar in Cyprus, as just about every house out there will have a stash of cash under the bed. A snow storm on the Colorado High Plains and frost in the Mid South are part of continuing wintry forecast in the United States. Temperatures would remain 10-18 F below normal in the week ahead. Temperatures this morning once again were bitterly cold in the Upper Midwest, -10 F in North Dakota, Minnesota and northwestern Wisconsin. Zero degrees F (-17 C) was reported in northern Iowa and 10 F in Chicago. Rather than thawing, frost is deepening in exposed corn fields, 30 days ahead of the typical beginning of Midwest corn planting. Wintry weather is expected to continue with intense cold temperatures in the 7-day forecast. 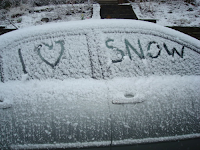 A new winter storm is expected on the weekend, promising heavy snowfall for the High Plains. Northeast Colorado and Northwest Kansas are expected to receive more than one foot of snow, melting to one inch of moisture. Southwest Kansas may receive .75 inch of precipitation. This is a semi-arid region, so heavy precipitation greatly enhances wheat yields. Earlier this winter, the Southern Great Plains was hit with back-to-back snow storms that improved field moisture for wheat development. February storms affected southern Kansas, Oklahoma and West Texas, causing welcome heavy precipitation over one inch and up to 2 inches in Oklahoma. The stormy winter is giving hard red winter wheat a chance to improve, following extremely dry weather last fall, when wheat was planted. If heavy snow develops as expected in the Central Great Plains, hard red wheat prospects would brighten further. Winter storminess in the Great Plains may be linked La Nina's demise, the "drought maker" . This would be preceded by a wave of snow showers today in the Northern Rockies, spreading east across the Great Plains tonight. Spring wheat farms in the Canadian prairies and North Dakota are expecting around 4 inches of snow. Thus, instead of a shrinking snow-pack, coverage would increase in the leading spring wheat areas of North America. There is no chance for melting with ongoing cold temperatures. Eastern North Dakota and western Minnesota temperatures this morning were -8 F to -11 F. Northern Iowa reported lows near 0 F (-18 C) and 20 F below average. These temperatures are more typical of January than late March and highly unusual. Weekend temperatures are expected to moderate in the US heartland, though remaining well below normal. Virtually all of the United States is affected by the cold forecast, including the Mid South, a key farm area in the Mid Mississippi Valley. It encompasses southeast Missouri, Arkansas, Tennessee and Kentucky. The main crops produced are winter wheat, cotton, rice and soybeans. 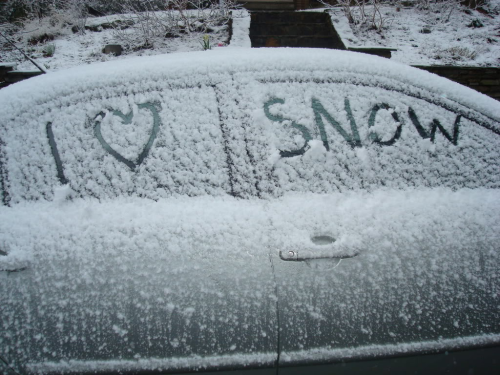 The Mid South weather forecast is wintry calling for cold rain and snow the next 2-3 days. This would be followed by night freezes on Sunday and Monday. (See the attached minimum temperature forecast Monday night-Tuesday morning). This is highly unusual for the Mid South in late March. By April 8th in 2012, the Mississippi Delta crops were more than 50% planted. This is another example of the stark contrast between 2012 spring warmth, compared to 2013's historic cold. 21/03/13 -- Soycomplex: The soybean market stormed higher despite disappointing weekly export sales of only a combined 341,000 MT versus trade expectations of 600-800 TMT. Net sales of little more than 100 TMT of old crop still leave total commitments for 2012/13 at 97% of USDA projections versus the 5-year average of 89%. Bloomberg ran a story apparently refuting claims of wholesale Chinese cancellations of Brazilian soybean purchases. That said that only one cargo of beans was resold by crusher and none were cancelled. Reports suggest that the Brazilian dock strike scheduled for 25th March is now cancelled and that talks between the unions and the government are making progress. Argentina’s Ag Ministry estimated the 2012/13 soybean crop at 51.3 MMT versus the USDA's 53 MMT forecast. MDA CropCast are less optimistic at 49.34 MMT. BLD (a local Argentine consultancy) are even lower at 48.3 MMT, whilst the Buenos Aires Grains Exchange estimate 48.5 MMT. Cooler than normal and dry seems to be the recurring weather theme there. In Brazil "rains increased across southern and northwestern areas this past week, which slowed harvesting in those areas," said MDA CropCast. They left their estimate fr soybean production in Brazil unchanged at 81.43 MMT versus 83.5 MMT from the USDA. Ahead of next week's planting intentions report from the USDA, Farm Futures Magazine estimated the 2013 US soybean acreage at a record 79.09 million, up 2.5% from a year ago. Informa are scheduled to release their latest estimate tomorrow, an increase from their previous forecast of 78.77 million acres could be on the cards. May 13 Soybeans closed at USD14.49, up 29 1/4 cents; Jul 13 Soybeans closed at USD14.25 1/2, up 26 1/4 cents; May 13 Soybean Meal closed at USD422.90, up USD9.10; May 13 Soybean Oil closed at 50.42, up 58 points. 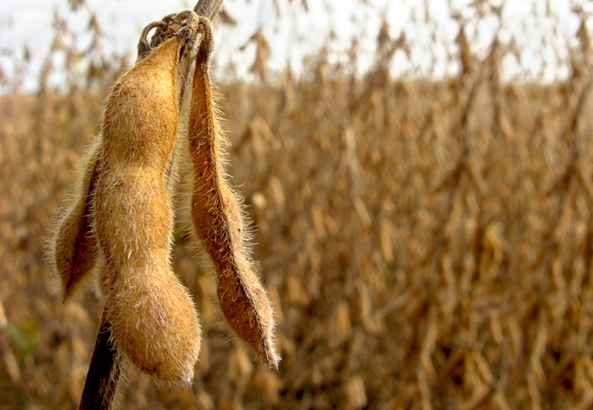 Funds were said to have been net buyers of around 7-8,000 soybean contracts on the day. Corn: Corn just about managed a positive close. Front month corn has now closed higher for nine of the last eleven trading sessions. Weekly export sales of a combined 275,500 were a disappointment compared to trade expectations of 300-600 TMT. Argentina’s Ag Ministry estimated the 2012/13 corn crop at 25.7 MMT versus the USDA's 26.5 MMT. MDA CropCast estimate 23.1 MMT, noting that limited rains should at least allow harvesting of corn there to progress well. They left their Brazilian corn production estimate unchanged from last week at 74.10 MMT. "Rains increased across southern and northwestern areas this past week, which slowed first crop corn harvesting but also maintained sufficient moisture for safrinha corn growth," they said. Farm Futures Magazine estimated US corn plantings in 2013 at 97.43 million acres, up marginally on a year ago. Informa are due to release their March estimate tomorrow, last time they forecast US plantings at 99.3 million acres, although at a conference earlier this month their CEO apparently said that the corn acreage this year will be about 97.0 million, so a reduction from their previous forecast could be on the cards. The IGC forecast the world 2012/13 corn crop at 850 MMT, unchanged from their previous estimate. For 2013/14 they said that "there is the potential for a greater rebound in production, which is projected up 9% year on year in 2013/14. Consumption is also likely to recover from this year’s unusual decline, but stocks could still rise by 19% year on year from the 16-year low forecast for end 2012/13." Yesterday's energy report showed corn used for ethanol production last week was estimated at 84.95 million bushels, up from 83.69 million the week before, but still below the 88.06 million bushels/week needed to meet this crop year’s USDA estimate of 4.5 billion bushels of demand from the ethanol sector. Funds were judged to have been modest net buyers of corn on the day to the tune of 1-2,000 contracts. May 13 Corn closed at USD7.33, up 1/2 cent; Jul 13 Corn closed at USD7.17 1/4, unchanged. Wheat: Wheat closed lower as weekly export sales of 484,500 MT of old crop and 88,800 MT of new crop fell short of trade expectations. Despite a busy week on the tender front internationally US wheat hasn't picked up as much business as the trade expected it would seem. Total net wheat commitments currently stand at 89% of the USDA target for the season compared to the 5-year average of 97% at this time. India picked up bids around USD306-307/tonne in a couple of tenders, with prices having seemingly recovered to levels where they have previously traded. Iran bought 120 TMT of wheat from Australia and Germany for April/May shipment. A Bloomberg survey of 10 analysts estimated Russia’s 2013/14 wheat output at 48.0 MMT, up 30% versus 2012/13 production of 37.7 MMT. Wheat exports in 2013/14 however were only seen up 10% to 11.45 MMT versus the 2012/13 estimate of 10.5 MMT and well below exports of 21.6 MMT in 2011/12. Argentina’s Ag Ministry estimated the 2012/13 wheat crop at only 9.0 MMT, well below the USDA's 11 MMT. Analysts Agritren forecast Argentine wheat plantings for 2013/14 at 4.5 million hectares, an increase of 40% on this season. Farm Futures Magazine estimated 2013 US all wheat plantings at 56.12 million ares, down 1 million from their previous estimate. They have the 2013 spring wheat area at 11.9 million acres, down 3% from a year ago. Informa are due out tomorrow, they had the US all wheat acreage at 56.2 million last month. The IGC forecast the world wheat crop for 2012/13 unchanged at 656 MMT. For 2013/14 "while wheat output is expected to rise by 4%, a recovery in global use will leave little room to rebuild stocks, which are forecast to increase by just 5 MMT year on year," they said. The Ukraine Weather Centre estimated the 2013 winter wheat crop at 18-19.5 MMT versus 14 MMT a year ago. May 13 CBOT Wheat closed at USD7.28 3/4, down 7 1/4 cents; May 13 KCBT Wheat closed at USD7.60 1/2, down 5 3/4 cents; May 13 MGEX Wheat closed at USD8.02 3/4, down 6 3/4 cents. 21/03/13 -– EU grains were mixed against a backdrop of continued uncertainty surrounding Cyprus, where the banks will remain closed until Tuesday as the government continue talks with the ECB and Russia. They have until Monday to strike a deal or face collapse and potentially a eurozone exit. Exports of EU wheat meanwhile are very strong and well ahead of last season's pace. London wheat closed with about to expire Mar 13 up GBP1.00/tonne at GBP198.75/tonne and new crop Nov 13 GBP0.75/tonne firmer at GBP185.50/tonne. May 13 Paris wheat was EUR1.75/tonne lower at EUR241.50/tonne. Mar 13 London wheat goes off the board tomorrow. The leading French grain hub of Rouen exported 275,500 MT of grains in the week through to Mar 20. That was their busiest week since Nov 2011, according to Bloomberg. Of that total 220 TMT was wheat, with Algeria taking almost 97,500 MT, Morocco 87 TMT, Tunisia 27,500 MT and the UK nearly 8,000 MT. The Germans are busy exporting grain too. Customs data there shows that they exported 691,512 MT of wheat in January, an increase of 61% on January 2012. That brings their 2012/13 marketing year-to-date todal to 4.17 MMT, 40% more than in the same period a year previously. German barley exports in January were 228,429 MT, up 114% on a year ago. Marketing year-to-date barley exports are up 35% versus 2011/12 at 1.06 MMT. Brussels issued 538,179 MT worth of soft wheat export licenses in the past week, taking the 2012/13 total to date to 14.69 MMT, up 43% on a year ago. That's once again well above the level required to hit our export target for the season. Clearly interest in EU wheat remains high following Algeria's purchase of 350 TMT of what was probably French wheat yesterday. Libya bought 50 TMT of what was said to be Hungarian wheat today. Other tenders pending include Jordan in for 100 TMT each of milling wheat and barley and Iraq looking for 50 TMT of wheat. Russia's grain exports in 2012/13 are down by almost a third on year ago levels at just under 14 MMT, and have now slowed to a trickle. Whilst old crop demand remains strong, and stocks in Europe and the Black Sea are tight, the outlook for new crop is relatively good. Early spring plantings in the Russian North Caucasian and Southern Federal Districts are currently said to be 317,500 ha, 88% of winter crops in the region are said to be rated good/fair. Ukraine spring plantings are complete on 480,000 ha, or 16% of the planned area, according to the Ag Ministry there. They say that 91.6% of winter grains are in good to satisfactory condition. Agritel say that only 3-6% of Ukraine winter grains will need replanting this spring. MDA CropCast increased their EU-27 winter wheat production estimate by 1.7 MMT from last week to 130.5 MMT, an increase of almost 3% on last year. Their EU-27 barley production estimate by 0.6 MMT to 54.2 MMT, with OSR output up 0.72 MMT from last week to 18.56 MMT. The Spanish Ministry forecast their total wheat area for the 2013 harvest up 2.4% to 2.22 million ha, say Bloomberg. 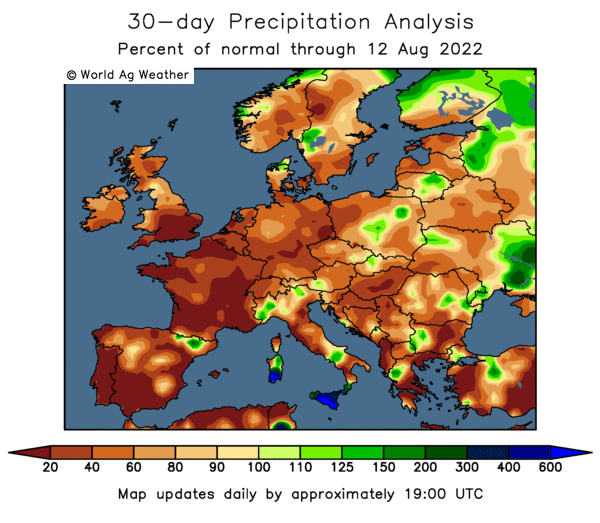 However "persistent rains in southwestern Spain are maintaining wetness there and high disease threats for wheat," say MDA CropCast. 21/03/13 -- Rapemeal prices on the continent are sharply higher, rebounding from recent lows, as soybean and meal values in Chicago finally regain some traction. 21/03/13 -- The overnight grains are mixed with beans 10-12 cents higher and wheat and corn a couple of cents easier. It's been a while since beans have been the leader. Nearby May 13 doesn't appear to feel any more comfortable threatening to slip below the USD14/bu mark than it seems to fancy breaking USD15/bu, so I guess you could say we are range bound for the time being. Today's weekly export sales report will maybe dictate where we go this afternoon. Bean sales are estimated at 6-800 TMT, with corn at 3-600 TMT and wheat 6-800 TMT. What we get for old crop will be of particular importance. Soybean commitments are already 97% of the USDA target for the season, can a little bit more blood be wrung out of the stone? Late today we should also discover how much wheat Brussels has authorised for export in the past week. These are also running well ahead of expectations. Last week's 2012/13 all wheat volume cleared for export was 15 MMT. With 15 weeks of the 2012/13 season remaining exports now only need to average 300 TMT/week from here on in to hit the USDA's projection of 19.5 MMT for the year. If exports were to continue at last week's pace of 476 TMT/week for the remainder of the season then full 2012/13 shipments would top 22 MMT. Interesting then today, following on from Algeria's 350 TMT purchase yesterday of what will probably end up being French wheat, that the leading French port of Rouen shipped 275,500 MT of grains in the week through to Mar 20. That's their busiest week since Nov 2011, according to Bloomberg. Of that total 220 TMT was wheat, with old mates Algeria taking almost 97,500 MT, Morocco 87 TMT, Tunisia 27,500 MT and the UK nearly 8,000 MT. Amidst reports of Chinese demand for soybeans slowing, customs data released today reveals imports for just about everything save palm oil were down for the first two months of the year: Chinese Jan/Feb imports: corn 791 TMT -38% year-on-year; Soybeans 7.68 MMT -9%; Wheat 402 TMT -31%; Soyoil 158 TMT -41%; Palmoil 897 TMT +9%. Closer to home the Spanish Ministry forecast the total wheat area for the 2013 harvest +2.4% to 2.22 million ha, say Bloomberg. 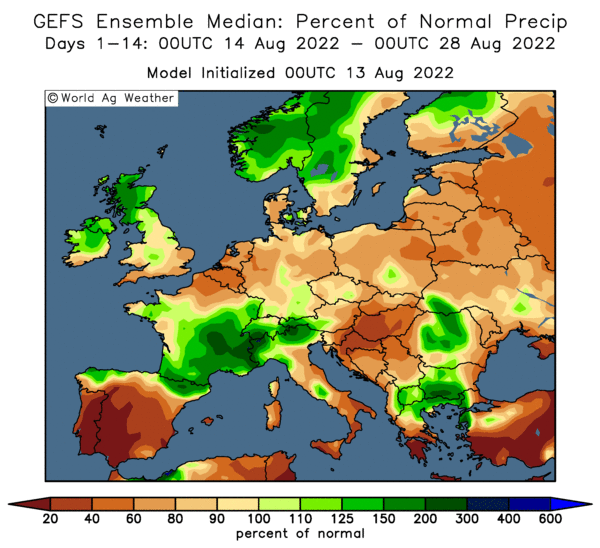 However "persistent rains in southwestern Spain are maintaining wetness there and high disease threats for wheat," say MDA CropCast. Nevertheless they've increased their EU-27 winter wheat production estimate by 1.7 MMT from last week to 130.5 MMT, an increase of almost 3% on last year. Their EU-27 barley production estimate by 0.6 MMT to 54.2 MMT, with OSR output up 0.72 MMT from last week to 18.56 MMT. 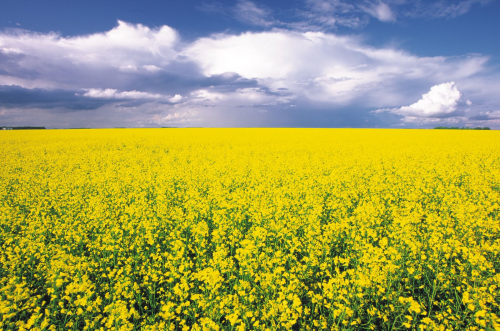 China are this morning said to have formally approved rapeseed imports from Australia after a 4-year ban. That's been on the cards for some time. Another recent persistent rumour confirmed: China's Sinograin are to sell "more than 1 MMT" of state-owned soybean reserves. Russia's grain exports are said to be down 32% vs last season for the marketing year to date at 13.96 MMT. Ukraine spring plantings are complete on 480,000 ha, or 16% of the planned area, according to the Ag Ministry there. They say that 91.6% of winter grains are in good to satisfactory condition. 20/03/13 -- Soycomplex: Soybeans closed higher for the first time in over a week on what looks like short-covering after a pretty substantial fall. There's been a lot of talk about waning Chinese demand on the back of falling pig numbers lately, coupled with cancellations of Brazilian purchases due to shipping delays, but the latter news could be construed as bullish for US soybean demand - particularly until the Argentine harvest is in full swing. The latter are estimated to only have around 4-5% of their soybeans harvested to date. Brazil meanwhile were 58% done as of Mar 15, according to Celeres. How much of the cancelled Brazilian business will end up going to Argentina, and how much will go to the US is unclear. Talk continues of Chinese interest in nearby US soybeans out of the PNW. This makes tomorrow's weekly export sales report interesting, especially with the US 97% sold already. Trade estimates for soybeans are for sales of 6-800 TMT. Looking further ahead, those Brazilian beans will have to come onto the market at some time, making them more active in the further forward months than would normally be the case. They could still be aggressive exporters when US new crop comes along in the late summer/early autumn. Interesting then that US farmers could also have a record harvest of their own to market, weather permitting of course. Lanworth Inc today forecast US soybean plantings at a record 81.3 million acres this spring, with production pencilled in at 3.455 billion bushels. Lanworth estimated the Brazilian soybean crop at 81.1 MMT versus 80.8 MMT previously and pegged Argentine output at 50.5 MMT versus 49.4 MMT last time. Macquaire today forecast the average Q2 US soybean price at USD13/bu. May 13 Soybeans closed at USD14.19 3/4, up 13 cents; Jul 13 Soybeans closed at USD13.99 1/4, up 11 1/4 cents; May 13 Soybean Meal closed at USD413.80, up USD2.20; May 13 Soybean Oil closed at 49.84, up 36 points. Net fund buying in beans today was estimated at 3-5,000 lots. Corn: The corn market continues to press on higher on ideas of increased domestic demand. Valero Energy say that it will soon have all 10 of its ethanol plants back online and operating at or close to capacity. Data from the US Energy Dept today showed an increase in weekly ethanol production of 12,000 barrels/day to 809,000 bpd as more US plants come back online. Even so this is still behind the pace required to hit the USDA's projected demand target for 2013, said to need to be 838,000 bpd. This number does not appear to take into account a partial switch to wheat and sorghum as a feedstock either, so it would appear at this stage that the ethanol sector will not ultimately require the 4.5 billion bushels of corn that the USDA currently project. They did surprise the market with a forecast for increased domestic feed usage of corn earlier this month however. Lanworth Inc forecast that US farmers will plant 96.5 million acres of corn this spring, around 1% down from a year ago. Production might rebound to 13.64 billion bushels they say, depending on the weather. They said that they expect the USDA to estimate the 2013 US corn planted area somewhat lower, at 95.7 million acres, next week. They pegged the 2012/13 Argentine corn crop at 25.5 MMT versus their previous estimate of 24.9 MMT, but still below the USDA's 26.5 MMT. They have the Brazilian corn crop at 76.4 MMT versus 76.9 MMT previously, but well above the USDA's 72.5 MMT. Opinions over Brazil's 2012/13 corn potential are still divided, with more than half of this season's production set to come from "safrinha" or second crop corn which is still being planted. Macquaire are less bullish on production prospects for this, estimating a total net 2012/13 Brazilian corn crop of 69 MMT. Trade estimates for tomorrow's weekly export sales report are 3-600 TMT. May 13 Corn closed at USD7.32 1/2, up 4 cents; Jul 13 Corn closed at USD7.17 1/4, up 5 1/4 cents. Wheat: Chicago wheat posted impressive gains, pushing on to near one month highs on signs of improved demand and short-covering ahead of next week's USDA stocks report. Additional support may also have come from a colder temperature outlook for the US Midwest and Plains in the week ahead. The forecast in Canada and Northern United States remains unseasonably cold, say Martell Crop Projections. Lanworth estimated the US all wheat crop at 2.023 billion bushels versus a previous estimate of 2.026 billion, which is nearly 11% down on last year. They have the 2013 Russian wheat crop at 49.8 MMT and the Ukraine crop at 23.3 MMT, both are unchanged from their previous estimates. Production in 2012 was 37.7 MMT and 15.8 MMT respectively, so these numbers calculate out as increases of 32% and 47%. Ag Canada estimated all wheat plantings there at 25.229 million acres, up 5.8% from a year ago. Algeria bought 350,000 MT of optional origin milling wheat (most likely French) for June shipment. Libya bought 50 TMT of optional origin milling wheat for April shipment. Oman bought 10,000 MT of Indian wheat for April shipment. Jordan, Bangladesh and Iraq all have wheat tenders pending. Trade estimates for tomorrow's USDA weekly export sales report for wheat are at 6-800 TMT. Last week's combined crop year sales topped 1 MMT, including a hefty 888,500 MT of old crop. Old crop sales now only need to be 353,300 MT/week to hit the USDA estimate for the season, although that assumes that everything that is sold for 2012/13 gets shipped in 2012/13. With wheat prices having improved in the past couple of weeks though we appear to be back in the zone where the Indians may be prepared to sell. They reportedly picked up bids in excess of USD305/tonne FOB in a wheat tender today, which takes us back above the level at which they last traded, although they recently put up 5 MMT for tender setting a minimum price of USD320/tonne. May 13 CBOT Wheat closed at USD7.36, up 14 cents; May 13 KCBT Wheat closed at USD7.66 1/4, up 14 1/2 cents; May 13 MGEX Wheat closed at USD8.09 1/2, up 10 3/4 cents. 20/03/13 -- EU wheat futures bounced higher, supported by the news that Algeria had bought 350 TMT of optional origin milling wheat in a tender for only 50 TMT. The French are frequently Algeria's pet supplier of choice. Jordan, Bangladesh and Iraq all have wheat export tenders pending, with German wheat possibly standing a chance with the former. On the day, London wheat closed with front month Mar 13 up GBP3.25/tonne at GBP197.75/tonne and with new crop Nov 13 GBP0.85/tonne higher to GBP184.75/tonne. May 13 Paris wheat was up EUR4.47/tonne at EUR243.25/tonne. Reuters reported at the weekend that cash-strapped Egypt only had 89 days of wheat supplies versus the six months worth that they would normally carry. They are said to be in talks with India to add them to their approved suppliers list. How times have changed from the not so long ago days of Egypt taking it's pick from sellers falling over themselves to conform to whatever criteria they so desired. Minimum 60,000 MT lots, only one port of loading etc, etc. Potentially keeping a lid on this wheat rally however (US prices rose to a near one month high in overnight trade) are India. They've got a mountain of old crop wheat still left to sell and another deluge of new crop coming, with harvesting likely to start by the end of the month. They reportedly picked up a best bid of USD305.72 FOB from Toepfer in a tender to sell wheat today. That puts the price back up into the ballpark region that they have been targeting, having refused bids around the USD295/300 mark in recent weeks. Ukraine are said to have agreed to raise the ceiling on their wheat exports for 2012/13 to 7 MMT. Exports have been stuck around the 6.2-6.3 MMT mark, but it would appear that the government are prepared to let a little bit more go now that they are confident in a good crop this summer. Italy's 2012 soft wheat imports were 4.19 MMT, down almost 18% versus 5.1 MMT in 2011, say Bloomberg. Durum wheat imports fell nearly 32% to 1.54 MMT versus 2.26 MMT in 2011, they added. US satellite analytical firm Lanworth Inc were said to have cut their forecast for US all wheat production this year from 2.026 billion bushels to 2.023 billion. That's 55 MMT in language we understand this side of the Pond, a drop of nearly 11% on output in 2012. Crop conditions on the continent are more promising than they are at home. The HGCA say that in France "soil moisture levels are seen to be largely adequate. The cold weather has resulted in slow growth for wheat and rapeseed but the temperatures later this week should be beneficial." 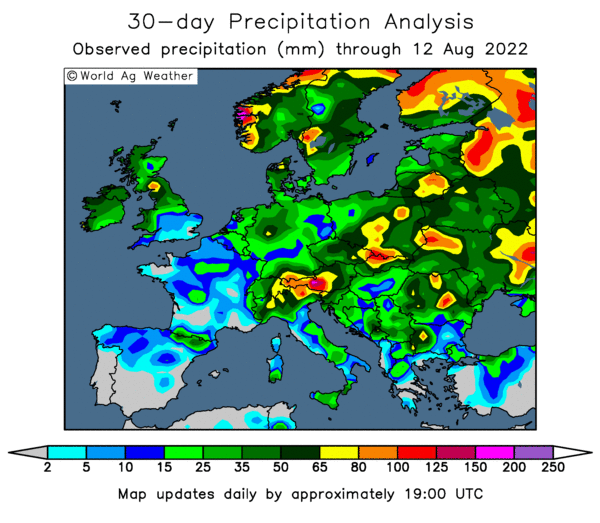 Good snow cover in Poland and Germany should keep crop damage from the current cold snap to a minimum, whist Spain has seen favourable rains and "the cold weather has slowed wheat growth but beneficial temperatures will moderate this in the next few days," they add. Back across the Pond, despite today being the vernal equinox, when daylight hours exactly match the number of darkness hours, the forecast in Canada and Northern United States remains unseasonably cold, say Martell Crop Projections. "The message is that no important melting is predicted over the next several days in the Northern Midwest corn belt and North Dakota spring wheat growing areas," they add. The pound had a yo-yo day. News that the BoE's MPC voted 6-3 in favour of keeping QE unchanged this month gave the pound a little boost in the morning, followed by a period of predictable volatility as Chancellor George Osborne delivered his budget speech. Heading into the close it was trading back up near the highs of the day against both the dollar and the euro though. Monday's nerves over Cyprus seem to have calmed a little, with it appearing that maybe Russia were going to step in and lend a helping (and self-interested) hand. However this looks far from a done deal at the moment. Reuters suggest that the Cypriots want to renegotiate a 5-year extension to an existing EUR2.5 billion loan that expires in 2016, as well as lowering the interest rate from the current 4.5%. In addition to that they wish to borrow a further EUR5 billion from the Russians. 20/03/13 -- A very interesting couple of Defra surveys into computer usage by farmers can be found here Luddites! All sorts of statistics catch the eye, including that only 86% of farms have access to a computer, according to the October 2012 Farm Practices Survey. Techno geek that I am, it's also astonishing to read that only 29% of farmers have a smartphone. A different Farm Business Survey found that a slightly higher 90% of farm businesses had a computer. Presumably the other 10% that they emailed failed to reply? Perhaps not surprising is the finding that "faster broadband and/or better internet connections were the most frequently cited factors that would increase (computer) usage." Another interesting stat is that more than half of those that do have a computer have one that is 3 year old or more. Jesus, I've got redundant computers/tablets that are younger than that! Interaction with Defra and/or other government services were the most commonly reported uses of the farm computer. Online banking (49%) and sales/purchasing online (45%) were also said to feature highly (although it is unclear if by "sales/purchasing online" they thought that doing the shopping from Tesco and/or buying some new wellies off Amazon counted). Does the fact that only 29% of farmers have a smartphone, and only 26% have one that they use for business, mean that farming apps are a waste of time? Or does it mean that there's a golden so far relatively untapped opportunity here? This farmer was on his way to Cheltenham last week, and Tony McCoy was sat opposite him on the train. The farmer and McCoy got chatting and McCoy said "Look I don't normally do this but would you like the winner of the first race?" The farmer said "No thanks, I've only got a very small garden." 20/03/13 -- Rapemeal prices on the continent are generally steadier today, in line with overnight gains in Chicago soymeal. The current widespread cold snap across much of Europe may not be helping winter OSR too much either. 20/03/13 -- The overnight grains are firmer, with May 13 wheat up 8 1/2 cents to a near one month high on ideas of a pick up in world demand for US wheat, and also the notion that next week's US stocks report might come in lower than anticipated thanks to increased domestic US feed usage. Funds have built up a sizable short in CBOT wheat over the past couple of months, leaving the market vulnerable to an upside correction, that appears to be what we are getting ahead of next week's stocks numbers. Tunisia are said to have bought US soft wheat in it's 67 TMT optional origin tender, one where you would normally expect France to be favourites to win. Algeria, Jordan, Bangladesh and Iraq all also have wheat export tenders pending. Soybeans are also firmer in overnight trade, which is probably also down to a mini correction following recent losses. May 13 corn meanwhile is pressing on to it's highest levels since early February as news filters through of more US ethanol plants coming back on stream, increasing demand and keeping stocks tight. News that the BoE's MPC voted 6-3 in favour of keeping QE unchanged this month has given the pound a little boost this morning ahead of the budget. Some thought that the split may have been closer than that. The pound went from 1.5030 to 1.5130 versus the dollar following the release if the minutes of the meeting shortly after 9.30 am. Early doors European trade sees May 13 London wheat up GBP2.25/tonne; May 13 Paris wheat up EUR2.75/tonne; May 13 Paris rapeseed up EUR2.50/tonne; May 13 Paris corn up EUR1.75/tonne. Whilst there's already talk of it being too wet to get early spring crops sown in southern US states, it remains far too cold in the north. "Early morning temperatures in Canada and the Northern United States bottomed out below zero F (-18 C). A thick layer of snow persists in the northern latitudes. Extreme cold in March is worrisome for delays in spring fieldwork and planting in the Canadian prairies and Midwest," say Martell Crop Projections. Elsewhere in the US: "Portions of the Midwest corn belt are still affected by drought. This may be another deterrent to obtaining a profitable corn yield. Top yielding corn districts in Iowa and Nebraska still are very dry, the subsoil drought a lingering effect from last summer. Nebraska has accrued a 7-inch moisture deficit accruing from mid July through winter," they add. According to Oil World, Argentina’s biodiesel exports were down by more than a half to 376,000 MT in the October 2012 to February 2013 period. They estimated EU February biodiesel imports from Argentina at 36,000 MT versus 145,000 MT in 2012, saying that "Argentine exports of biodiesel are plummeting owing to reluctance from EU importers." They pegged March biodiesel imports from Argentina falling to only 20-30 TMT. Also in Argentina, Oil World say that "Argentine farmers are still very reserved sellers of soybeans. The difference between the fixed exchange rate and the 'blue dollar' has further widened to 2.94 pesos." The 'blue dollar' rate being the black market value of the peso vs the US dollar. Farmers exporting beans have to take the official exchange rate. With Argentine inflation raging, and an export tax on beans on top of this it's no wonder that Argentine farmers are reluctant sellers of beans. With US soybean exports already at 97% of the USDA target for the season, China cancelling large Brazilian purchases, Argy reluctance to sell (and them having their own logistical problems when they do) the recent collapse in Chicago soybean prices is all the more surprising. Particularly at the front-end. 19/03/13 -- Soycomplex: Beans fell for a seventh straight day, with May 13 closing at the lowest levels for a front month since the early days of 2013. A report that China has cancelled purchases of Brazilian beans was the catalyst. It is suggested that Sunrise Group (one of the largest private importers in China who are said to import around 7 MMT of beans annually) may have cancelled almost 2 MMT of Brazilian beans, comprising 23 regular cargoes for April/June shipment and the 10 panamax cargoes for Jan/Feb shipment. Exactly why the market chooses to decided that this news is bearish as far as demand for US soybeans goes is unclear. Unless they were completely overbought to the tune of 2 MMT then surely some of these cargoes will be switched to the US? It is suggested that some, if not most, of the April/June requirement will be switched to Argentina. It seems inevitable though that they too will suffer logistical shipping problems once their soybean export program also gets underway. 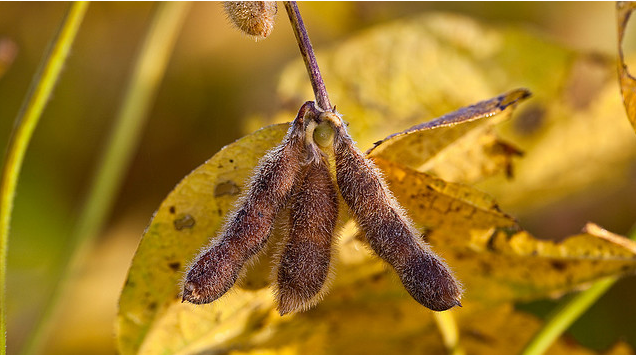 Oil World meanwhile said that China’s soybean stocks are at undesirably low levels and that the Argentine soybean crop may fall below their current estimate of 49.0 MMT. May 13 Soybeans closed at USD14.06 3/4, down 2 3/4 cents; Jul 13 Soybeans closed at USD13.88, down 6 1/2 cents; May 13 Soybean Meal closed at USD411.60, down USD1.70; May 13 Soybean Oil closed at 49.48, down 20 points. Corn: The corn market continues to divorce itself from the demise of beans on increased domestic demand heading into next week's stocks report. Valero were said yesterday to have reopened it's idled ethanol plant in Bloomingburg, Ohio. Today came the news that they will restart another idled ethanol plant in Linden, Indiana, in a few weeks time. Tomorrow we get the weekly ethanol production data from the US Energy Dept. The bulls will be looking for an increase on last week's 797,000 barrels/day, which was below the level required to hit the USDA's target of 4.5 billion bushels worth of demand from the ethanol sector this season. Safras e Mercado said that 88% of the Brazilian 2nd corn crop has been planted, up from 77.5% a week ago and versus 89% a year ago. Michael Cordonnier left his Argentine corn production forecast unchanged at 24 MMT, but increased his Brazilian estimate by 2 MMT to 74 MMT. He anticipates 55% of this year's output will come from the 2nd crop corn. He also said that "the current cost of transporting corn from Sorriso in central Mato Grosso to the Port of Santos in southeastern Brazil is actually more than the cost of the corn." Japan, the world's largest corn importer, continue to tweak back their corn usage. Their Ag Ministry said that January use of corn in animal feed was 42.2% versus 42.7% in December and versus 45.1% a year ago. Japan imported 1.19 MMT of corn in January, down 7.7% from a year ago, they added. May 13 Corn closed at USD7.28 1/2, up 8 1/2 cents; Jul 13 Corn closed at USD7.12, up 8 3/4 cents. Wheat: The market firmed on spillover support from corn, and short-covering. Funds shorts may be a little nervous heading into next week's stocks report, which may indicate more domestic wheat feeding and therefore lower stocks than the market expects. There are also ideas that Russia's grain crop might not rebound quite so successfully this year as the Ministry's current official estimate of 95 MMT. Russia's Deputy Ag Minister said on Monday the the country would produce 80 MMT of grains this year, which is "only" 11.5% up on last year. There's also talk of the stocks being so low at the end of the current season that the government will be aggressive buyers in the Aug/Oct period, thereby limiting the impact that we usually see when new crop Russian grain comes onto the market. SovEcon today estimated Russia’s 2013/14 grain exportable surplus at 16.0 MMT, little more than the 15.1 MMT of this season. Japan is seen importing more wheat then ever before as they cut back on corn usage in animal feed. They are shopping for 132,777 MT of milling wheat for April/June shipment in their regular weekly tender, of which 76,858 MT is of US origin. Whilst winter wheat crop conditions in Kansas and Oklahoma improved a little this week, they were down in Texas. Even with that improvement in the former two 29% of Kansas wheat and 37% of Oklahoma wheat is still rated as poor to very poor. May 13 CBOT Wheat closed at USD7.22, up 9 1/4 cents; May 13 KCBT Wheat closed at USD7.51 3/4, up 7 1/2 cents; May 13 MGEX Wheat closed at USD7.98 3/4, up 10 cents. 19/03/13 -- EU wheat futures closed higher as fears over the wider consequences of the Cyprus bailout, and the risk of contagion across Europe, eased a little. On the day, London wheat closed with Mar 13 up GBP1.15/tonne to GBP194.50/tonne and new crop Nov 13 also GBP1.15/tonne higher at GBP183.90/tonne. May 13 Paris wheat was EUR3.75/tonne firmer at EUR238.50/tonne. 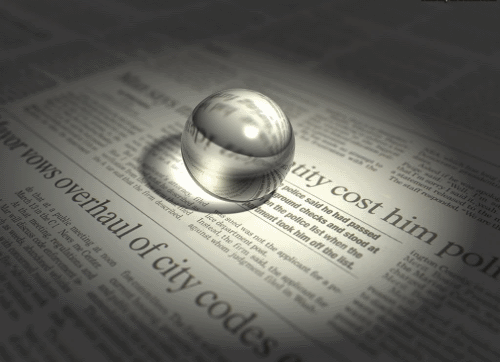 Fresh news was relatively light. Ukraine said that they'd shipped 921 TMT of grains so far this month, almost all of which was corn (861 TMT). For the marketing year to date that means that they've exported 18.72 MMT, a 30% increase on this time a year ago, of which 10.14 MMT has been corn, 6.2 MMT what and 2.02 MMT barley. Optimism remains high for a good crop in 2013. The Ukraine Ag Ministry said Ukraine will export a further 6.6 MMT of grain (including 4.7 MMT of corn) between now and the end of season. Russia's grain stocks as of March 1st were 20.4 MMT, down 30% on year ago levels announced the Ministry. They sold 55, 533 MT of intervention grain in today's government tender, bringing the total sold so far since sales began to 2.37 MMT. SovEcon estimate Russia’s 2013/14 grain exportable surplus at 16.0 MMT versus 15.1 MMT this season. The grain crop in the Southern Region of Russia was estimated at 28-30 MMT versus 24.1 MMT in 2012. Officials in India are set meet this week to discuss the release of an additional 5 MMT of wheat for export. Top the agenda must be whether they will/can afford to drop their price aspirations following the market's recent move lower. They are said to have released another 65,000 MT of wheat for export overnight. Egypt announced that it expects wheat production of around 9.5 MMT this year, if good weather conditions continue. Domestic stocks are much lower than normal amidst the financial and political crisis there, and there is talk of bakeries going on strike as they say that the government owes them 400 million Egyptian pounds in unpaid refunds for subsidising bread prices. US winter wheat conditions improved in the top two winter wheat states of Kansas (up 2% good/excellent to 29%) and Oklahoma (up 4% to 24% good/excellent) in the past week. However, in Texas the same proportion of the crop rated good/excellent fell two percentage points to 16%. Bangladesh have re-tendered for 50 TMT of optional origin wheat for April shipment. Libya are also in the market for 30,000 MT of milling wheat, along with Iraq for 50,000 MT. North African buyers Algeria seek 50 TMT of optional origin milling wheat for June shipment and Tunisia are shopping for 67 TMT of optional origin soft wheat for April/May shipment. France is frequently the usual supplier to the latter two. The market is biding it's time now ahead of next week's quarterly stocks numbers and March planting intentions report from the USDA. Informa are due out at the end of this week with their 2013 US acreage estimates. 19/03/13 -- Rapemeal prices on the continent continue to slide reflecting recent losses in Chicago soymeal and a general lack of fresh demand. 18/03/13 -- Soycomplex: The soybean market began the week as it spent all of last week, closing lower for a sixth session in a row. The dollar was firmer following the announcement of the Cypriot bailout, which didn't help. Further risk-off moves out of commodities saw funds dump an estimated 7-8,000 soybean contracts on the day. Weekly export inspections were very disappointing at only only 8.927 million bushels, the lowest of 2012/13 so far in fact.Worries about Chinese demand were spurred on by news that end February pig numbers there were down 1.9% compared with the end of January and down 1.3% vs February 2012. Agrural estimated the Brazilian soybean crop at 82.1 MMT and said 54% of the Brazilian bean harvest is complete vs 55% a year ago. Safras e Mercado said that the Brazilian harvest is 58% complete vs 48% a week ago, vs 55% a year ago and the five year average of 42%. Mato Grosso is 87% complete vs 71% on average at this time. May 13 Soybeans closed at USD14.09 1/2, down 16 1/2 cents; Jul 13 Soybeans closed at USD13.94 1/2, down 16 1/4 cents; May 13 Soybean Meal closed at USD413.30, down USD5.50; May 13 Soybean Oil closed at 49.68, down 23 points. Corn: Outside influences saw corn open lower but close higher, continuing with last week's theme of doing the opposite to soybeans. Weekly export inspections of 15.399 million bushels were up on last week and at the upper end of trade estimates of 10-15 million. Even so this was below the 17.9 million bushels required to meet the USDA's 825 million bushels export target. Safras e Mercado pegged the Brazilian corn crop at 77.341 MMT, which is well above the USDA's estimate of 72.5 MMT. Argentina is seen dry this week, which will help advance a corn harvest that's 14% complete so far, according to the Buenos Aires Grain Exchange. Rain is forecast this week for southern and northwestern areas of Brazil. Harvesting should slow once again as a result, say MDA CropCast. South Korea's largest feed manufacturer, NOFI, said that their feed import needs are covered until July. Valero are said to have reopened it's idled ethanol plant in Bloomingburg, Ohio. They are also said to be preparing to bring an Indiana facility back online in the coming weeks as increasing numbers of US plants come out of mothballs. May 13 Corn closed at USD7.20, up 3 cents; Jul 13 Corn closed at USD7.03 1/4, up 3 cents. Funds were said to have been net buyers of around 2-4,000 contracts on the day. Wheat: Unlike corn, wheat opened lower on outside influences and stayed there for the duration of the session. Weekly export inspections of 23.947 million bushels were bang in line with expectations of 21-27 million. The 2013 US winter wheat harvest is drawing a little closer. 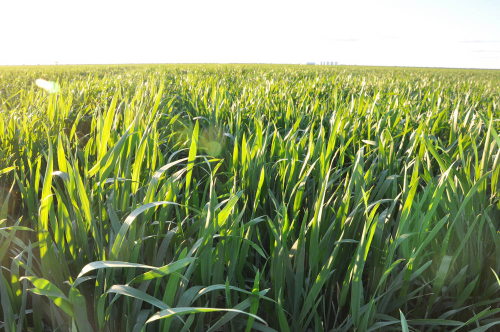 The Kansas wheat crop has started to green up with the warmer temperatures. The crop was said to be 3 percent jointed, compared to 11 percent a year ago and 5 percent average in the latest crop progress report. The condition of the crop was rated as 10 percent very poor, 19 percent poor, 42 percent fair, 27 percent good, and 2 percent excellent. That puts good/excellent up two percentage points on the week. Jordan are looking for 100 TMT of optional origin milling wheat and a similar volume of optional origin feed barley for May/June shipment. 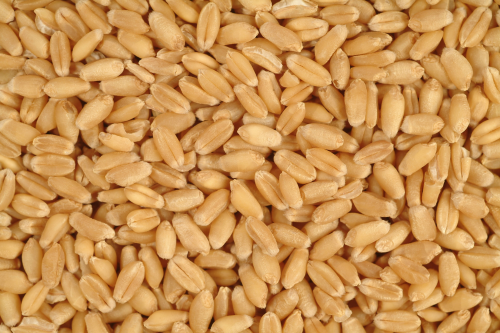 Algeria seeks 50 TMT of optional origin milling wheat for June shipment and Tunisia are shopping for 67 TMT of optional origin soft wheat for April/May shipment. France would be the usual suspect to win the latter two bits of business. Egypt's Ag Minister estimated Egypt’s 2013 wheat crop at 9.475 MMT. Fund selling in CBOT wheat was estimated at around 3,000 lots on the day. May 13 CBOT Wheat closed at USD7.12 3/4, down 10 1/4 cents; May 13 KCBT Wheat closed at USD7.44 1/4, down 7 1/4 cents; May 13 MGEX Wheat closed at USD7.88 3/4, down 7 1/2 cents. 18/03/13 -– EU grains were mixed but mostly lower on the day, pressured by outside influences and weaker US markets. News of the Cypriot bail out, and the possible wider implications for the rest of Europe and beyond, got the week off to a cautious start. London wheat closed with Mar 13 down GBP1.30/tonne at GBP193.35/tonne and new crop Nov 13 GBP0.40/tonne lower at GBP182.75/tonne. May 13 Paris wheat was unchanged at EUR234.75/tonne. The timing of the bailout announcement was clearly timed to coincide with a Cypriot bank holiday today, and there are reports that the banks may remain closed tomorrow (and possibly longer) to avoid mass over the counter cash withdrawals after ATM's were drained at the weekend. The market will be thinking to itself, well if this can happen in Cyprus then why can't it happen in Italy or Spain, and what would be the consequence of much larger removals of cash deposits with the banks in those countries? Could indeed the Cypriot move encourage such a cash exodus elsewhere? If there's one thing the market doesn't like then it's uncertainty. Mid-morning the screens were a sea of red, with stocks, grains, crude oil and softs all lower. Only the safe haven of gold was green, although later in the day most Paris wheat had at least managed to crawl into some positive territory on the back of euro weakness. 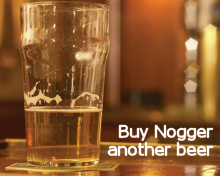 These latest development will do little to encourage fund money to come flooding back into the grains however, a sector that they've already been actively getting out of for the past couple of months. Sterling has bounced off it's recent lows against the dollar and euro in the past week or so, but it should be noted that the minutes of the March Bank of England's MPC meeting come out on Wednesday. 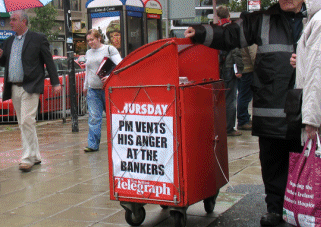 They could show an increased likelihood of more QE sooner rather than later. Back to the fundamentals, Coceral pegged the EU-28 soft wheat crop at 127.8 MMT on Friday, or 127.0 MMT if we exclude Croatia for comparison with last year's production. With an 8.3 MMT durum wheat crop this year that gives us an EU-27 all wheat crop of 135.3 MMT, only a little over 3 MMT, or 2.3%, higher than last year's output (using the USDA's latest figures). They have output in the UK down a further 10% on last year's disaster at a smidgen under 12 MMT. French all wheat production is seen lower too, although only marginally at 38.0 MMT. It's Germany (+5%) and Eastern Europe where the gains are seen being made, with Poland +8%, Hungary +10%, Bulgaria +12%, Romania +22% and the Czech Republic +23%. The EU-28 barley crop is basically forecast unchanged at 54.8 MMT, although UK output is seen up 17.5% courtesy of a 34% rise in spring barley plantings. 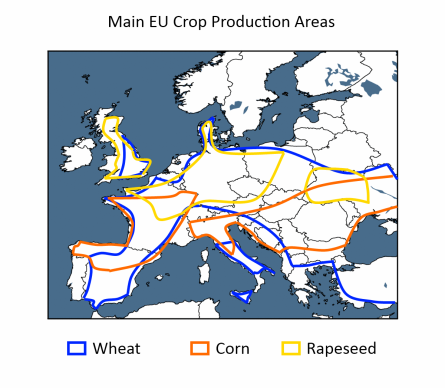 The EU-28 rapeseed crop is forecast at 20.05 MMT, up nearly 2.8%, although output in the UK is set to drop 25% to 1.92 MMT, they predict. Across the Pond: "More precipitation is coming to the Central Great Plains this week. Wheat in Kansas and northern Oklahoma are expecting 0.25 to 0.75 inch of moisture, a mixture of rain and wet snow Wednesday night-Saturday that would improve soil moisture," said Martell Crop Projections. That should further improve things for winter wheat. The export tender line-up for this week is average at best so far. Libya are in for 30,000 MT of milling wheat, Iraq’s 50,000 MT tender is pending until March 28th and Bangladesh are in for 50,000 MT. Jordan also issued a new tender for 100,000 MT of soft wheat over the weekend. Russia's Deputy Ag Minister said the the country would produce 80 MMT of grains this year, which is "only" 11.5% up on last year, according to the Interfax News Agency. That number is well below the official Ministry estimate of 95 MMT issued last week.